There’s only one Dandy out there, but that doesn’t mean you can’t try to look as good. Let us help you out with a “The Aloha Oe Crew Edition” of Space Dandy: Season One – exclusive to Amazon. Featuring an official replica belt buckle and charm donned by Dandy himself, you’ll be turning the heads of alien hotties everywhere – regardless of what planet you may crash land on. Honey and the girls at Boobies are definitely on the “must see” list of every space adventurer out there. Can’t make it to the nearest Boobies in your galaxy, though? Fear not, fellow breastaurant-going patron. 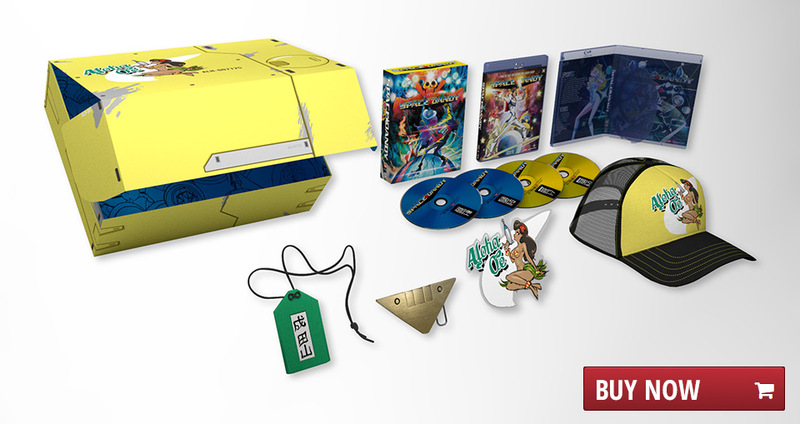 You can get the ultimate Boobies experience right here – with the FUNimation Exclusive Edition of Space Dandy: Season One. 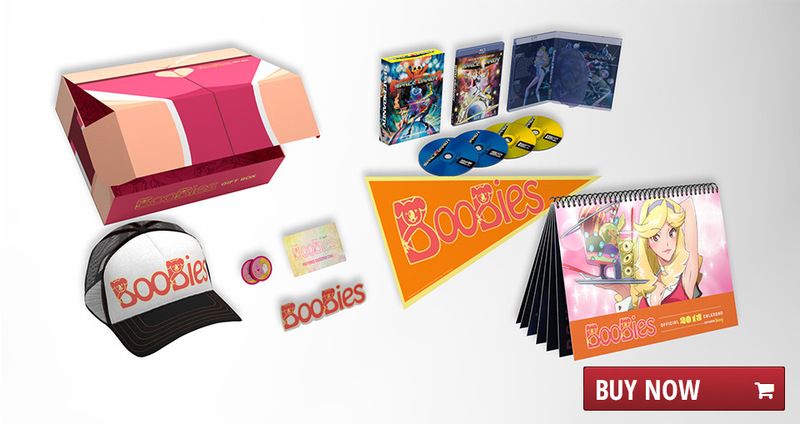 Each box comes with loads of Boobies accessories and gifts you won’t find anywhere else.